Details: NEW 427 pin drive all over satin black SET OF 4 WHEELS ONLY. Consists of 2 x 18 x 9.5 backspace range 3.0 - 6.0 in. 2 x 18 x 11.0 backspace 1.5 - 7.5 in. Please note photo shows spinners and adapters not included - If you already have adapters and spinners theses wheels will work with most aftermarket adapters. Please have qualified mechanic check compatibility. If you do not have adapter spinner kit please see the complete wheel /adapter spinner kit in this section. Please select the options below and type in the backspace required for the front and the rear wheels. If you are unsure please visit the tech info page on our web site. 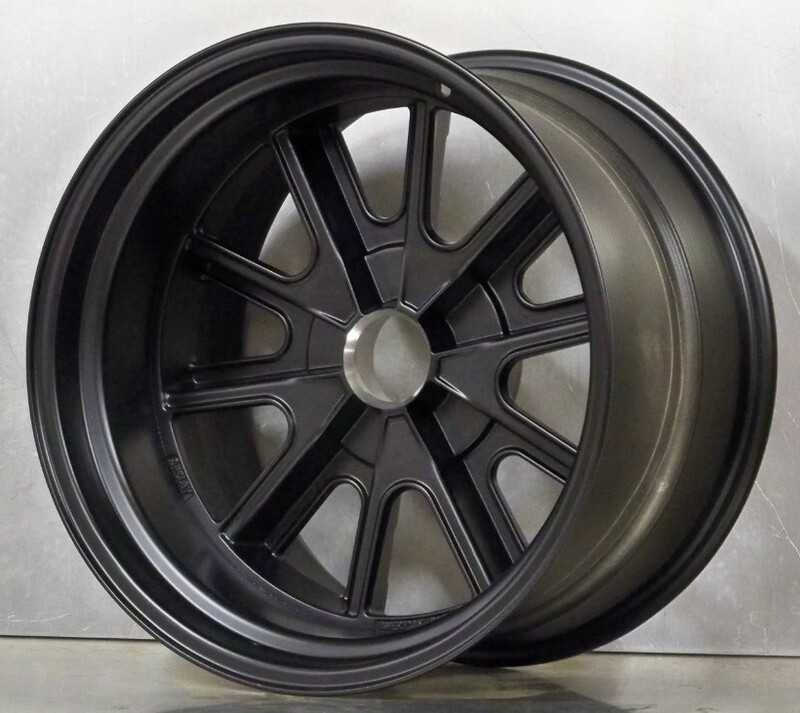 Please note the wheel shown in the photo is a representation of the wheel design and the appearance will vary depending on the offset/backspacing , we do have photos of most offsets upon request. < If you are ordering on line or calling in your specifications please consult the tech info page – fitment diagrams on our web site before you order. Alternatively call our technical hotline 619 952 4717 and we will help you work out your offsets.